Thirty-nine members stayed on to take part in post-AGM weekend activities. 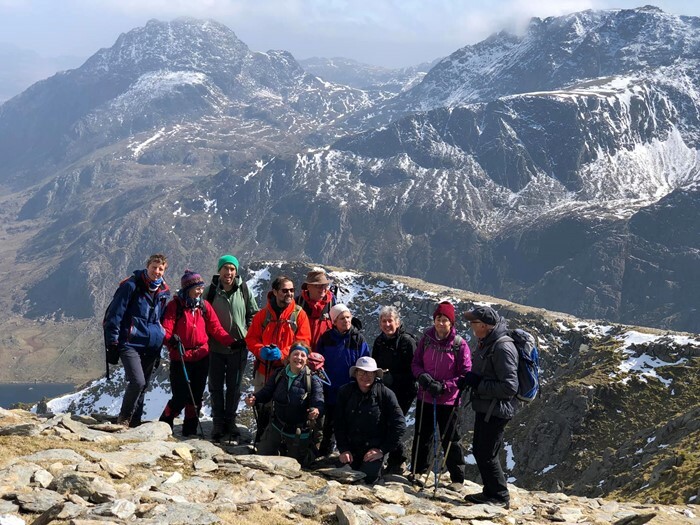 On the Sunday, 7th April, groups got together in local ventures such as mountain walks, visit to a deep mine, or just driving around Snowdonia. It was altogether an enjoyable, informative, interesting weekend and much of the credit must go to OCC Regional Rear Commodores Chris and Fi Jones of 'Three Ships' who did a superb job of organising. - Deep mine tour at Llechwydd slate mines. Twenty-four arrived at the Black Boy Inn in Caernarfon for an impromptu Sunday evening meal, continuing the reverie for one more night. Photographs are being collected and posted in galleries on the OCC website. Next year, the AGM and Awards Dinner moves across the pond for the first time, tentatively landing in Annapolis, Maryland "the sailing capital of the world" on April 18-19, 2020. See you there!